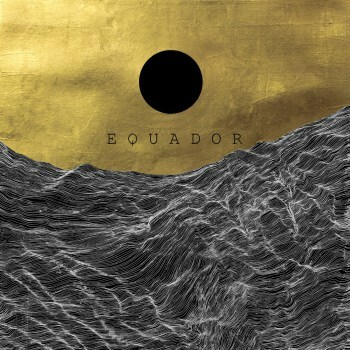 Power-pop duo Equador (Bo Bruce and Henry Binns) follow up their debut album Bones of Man with their newest EP Tribal War. Combining alternative-pop tones with dark and ambient synth, it creates a unique blend of styles throughout the course of its 3 songs. Kicking in with ‘Belly Up’ and the EP’s strengths come to light. It blends a dark, bassy sound with a dance beat, both of which allow the delicate vocal melodies to shine through. The lyrical nature of the track demonstrates the tracks darker side, focusing in on broken promise and paranoia fuel the tack, creating its distinctly dark and slightly surreal sound. Second track, ‘Treble Oh’ is introduced by piano, giving the track more of an emotional feel. This feeling is contrasted by the build of bass throughout the track. The use of the synth here is sparing but used to great effect, highlighting specific areas of the song and giving it a pop-esque edge. It is a key example of genre mixing that is prevalent throughout this EP. The EP closes with slower track ‘Prisoner’. This track is a drastically different to the other offerings, due to a push of piano throughout. This highlights the track, and indeed the EP’s, overall serious and tender nature. The trumpet-solo furthers this detour from the genre convention established in the earlier elements of the EP. It gives the closing track a melancholic feel and highlights the writer’s strengths no end, topping off the EP in an undeniably emotional way. Tribal War is an crystal clear demonstration of a writer’s strengths and shows their genre-bending abilities. The use of pop-elements as well as a shining focus on guitar and bass combine genres in a more-than pleasing way. Although straying too far into pop at certain points, there is more than enough variation to make this EP a worthwhile listen.